The New York Acting School: How To Craft the Perfect Resume for Your Acting Career! The acting business is just like the rest of them, in that you need to get out there, get known and get hired. And aside from actively working and networking, you need to have a professional way to let everyone know that you’ve got the talent they’re looking for! This means you’ve got to have a proper, professional acting resume. At the New York Acting School for Film and Television, we specialize in preparing talent for booking and for bettering the talent that is ready to go further; and resume building is a top priority. Neatly typed, no longer than one page, is professionally edited and proofread, is updated on a regular basis to keep it current and is formatted correctly. Your acting resume should never be longer than one page or have unnecessaries like paper clips. They bring clutter to the casting room and will only make things feel messy. In addition, you should be sure that your name and contact information are prominently displayed at the top of the page. This is so your resume can be found easily among others. You’ll be attaching your headshot to your resume so make sure it adheres solidly. You don’t want any bulky clips or open stables that could snag on other photos in the casting director's pile. Keep your fonts simple and always use black ink to print your resume, and be sure it doesn't smudge. Colorful or wild fonts look cluttered and distract your reader from seeing your talent and possibility. Remember, help them see you. 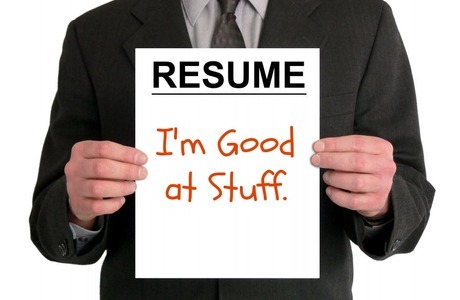 Don’t be lazy or messy about building your resume. Make it sleek and elegant. As you build it, imagine you’re looking for talent. Would you hire you? A small effort on your acting resume will go a long way toward presenting yourself as a professional. Never underestimate the smaller details in building your acting career. For more tips like these, acting classes and coaching, contact the New York Acting School for Film and Television today.